There are no events to display here. 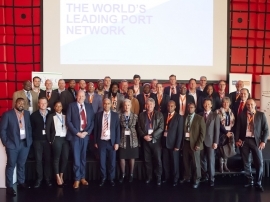 A wide range of professional services enable our members, clients and partners to successfully trade, invest and network in and between the Netherlands, South Africa and the southern African region (SADC). Whether you have already identified your market entry strategy, or it is still a blank page, SANEC is able to provide you with important answers, advice and assistance. We find that the best chances of success are achieved by understanding your business and markets. The experienced SANEC team can help accelerate your business, regardless in which development phase you currently are and where you want to go. Our Programme Cluster Management service offers you, or in cluster approach with other companies, many elements that help you get your marketing, market entry and business plan going. To increase trade and investment, SANEC assits companies to navigate the Dutch and SADC markets. Providing information about how to tailor once activities to the specific market with respect to the dynamics of the sector targeted. Throughout the year SANEC provided members with opportunities to meet, network, exchange ideas and experiences. Members are introduced to each other and these contacts are essential to develop new, mutually beneficial business relationships. Follow SANEC online to stay informed of all of our updates! Give your business a boost, join us and become a SANEC member. SANEC is celebrating 20 years of Business Directories. The new, 20th edition Business Directory 2016-2017 is now available! In this special edition, you will find an overview of the SANEC partners and members, SADC countries with facts and figures, interviews, specific sector information and much more! Have a look at our 2016-2017 Business Directory here!